Make a typical sales representative 20 times more likely to say the right thing at the right time! That which is monitored gets done. That which is monitored AND measured gets done well. You know who is using the practice tool and who isn’t. Every Monday morning, up to four levels of managers are emailed a report that shows when each salesperson practiced and for how long (it only logs actual practice time—not the amount of time logged-in, so they can’t fake it), and how they scored in the practice session. More importantly, you’ll know that they used it by their sales increases! When salespeople internalize the key sales messages and responses, they become unconsciously competent, that is, they respond appropriately and automatically during sales situations. Sales Pilot bridges the gap between knowing and doing with The Sales Simulator™. 2. Ongoing practice using a computer-based practice tool that allows the sales associate to perfect and internalize the key talking points. Does computer-based study and practice produce measureable results? Adam Rapp, MBA, Ph.D., Assistant Professor at Clemson University completed a study of involving 1,000 Fortune Five Hundred sales representatives using the practice technology. He discovered that a typical sales representative was only able to deliver approximately 10% of their intended message after a sales training program; up to 20% if role-play was included. So if a sales representative was only delivering 10-20% of the intended message, then what was the other 80-90%? It was information that the sales rep believed was important, something they had heard before, or something they made up! 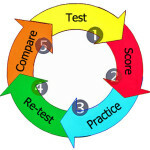 At the beginning of every client engagement, a benchmark assessment is completed. The results of all benchmark assessments completed to date mirror the results of the Clemson University study. The typical sales representative delivers between ten to twenty percent of their intended message before practicing. 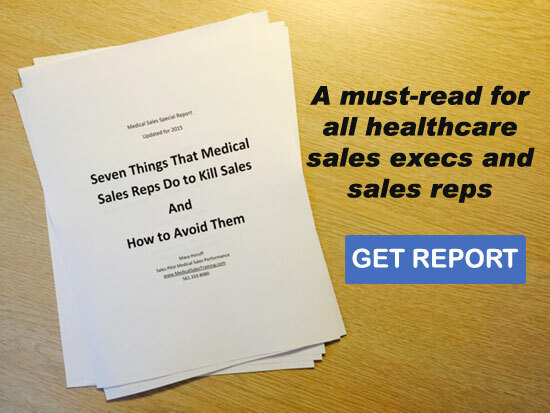 After practicing, sales representatives deliver over 90% of their intended message. Further, follow-up assessments reveal that sales representatives retain the ability to perform over a long period of time. To review two case studies with companies that sell to healthcare CLICK HERE. How much could you increase sales if you could bring the average sales performers in your sales force up to the level of your top sales performers? If you would like to find out how this can be done, please call Sales Pilot at 561.333.8080.